Even though you may love the idea of having a cat slinking through your home, you should make yourself aware of some of the more common health problems that cats have so you can prepare yourself accordingly. And remember, for cat vaccines visit vet products direct. Now on to some of the more prevalent cat health issues. If you’ve never had a cat of your own to take care of, you may be understandably shocked when yours throws up for the first time. Such a reaction could be caused by a number of issues, including infection, urinary tract disease, trying to eat something inedible, poison and hairballs. No matter why your cat is vomiting, you need to keep him or her hydrated. Know that you may need to collect a sample to take to your vet to figure out what’s going on. Cats can have colds and the flu just like humans. And just like humans, the symptoms of a cold or flu include runny nose, poor appetite, sneezing and runny eyes. One good thing is that some infections are easy to prevent with vaccinations, but know that you may need to take your cat to the vet for more serious conditions. Incontinence, trouble urinating and frequent urination are a few indications that your cat may have a bladder infection, which can happen when bacteria makes its way to the bladder via the urethra. You may also notice blood in your cat’s urine. No matter the symptoms, it’s essential that you take your cat to the vet ASAP. Bladder infections can threaten a cat’s life if they go untreated. When cats experience extreme gum disease, they can actually lose their teeth. Symptoms of disease include bad breath, chewing on one side of the mouth, bloody gums and lost interest in eating. You can help keep your feline companion from experiencing gum disease with proper dental hygiene. You simply can’t forget the basics when it comes to pet health, and fleas are most certainly among the most basic of the basics. Hair loss, constant licking, small black dots on fur and constant scratching are a few signs that your cat likely has fleas. One of the biggest problems with fleas is the fact that they can live for as long as a year. Also, know that they can cause anemia in your cat if the fleas aren’t dealt with in a timely manner. 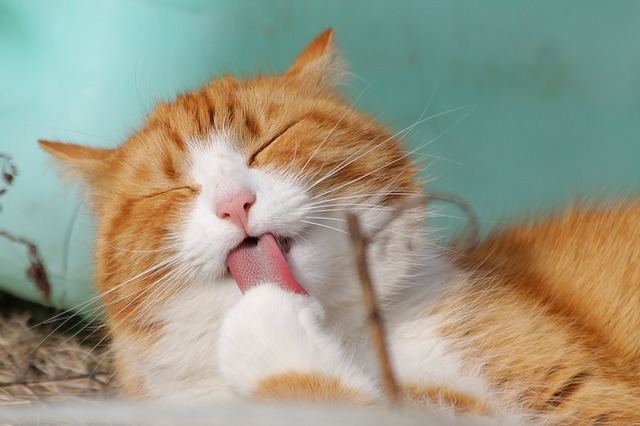 Rather than wait until your cat has fleas before taking action, you’re better off with preventative methods, which your vet can help you with. Cats that are anywhere from eight to 12 years old can have an overactive thyroid, which can lead to tumor growths. Hyperactivity, weight loss, diarrhea, vomiting and a matted coat are all signs that your cat could have an overactive thyroid; you may also notice that your cat is a bit more vocal than she or he used to be. You’ll want to schedule a trip to the vet right away if you suspect that your elderly cat may have thyroid issues. Has your cat been vomiting and losing weight for no discernable reason? If so, she or he could have a tapeworm. Check your cat’s feces to see if you can spot segments of a tapeworm, which often look like sesame seeds or rice grains. Thankfully, there are several treatment options for this particular health issue, including oral, topical and injection medication. Because tapeworms and fleas often go hand in hand, you should have your cat treated for fleas during tapeworm treatment as well. By knowing common health issues cats face, you can get ahead of many of them. Being proactive is sure to make for a happier, healthier cat.